By Andrea Diamond. Jun 17, 2017. 9:00 AM. Written by Nigerian author Chinua Achebe and published in 1958, Things Fall Apart is a unique, thought-provoking, literary masterpiece. The story is set in a pre-colonial, fictional village in Nigeria called Umuofia. While under the rule of their fearless leader Okonkwo, colonialism and Christianity begin to take root in the village, forever changing the landscape of their culture. 1. The title of the book was taken from a poem called “The Second Coming” by W.B. Yeats. The very first stanza of this intense work draws the reader in to a world of chaos, which can be easily tied to the experience of Okonkwo and his tribe. 2. One of Chinua Achebe’s primary goals in writing this book was to present western readers with a thriving, dynamic African society. Many other works at the time presented Africa as a wild and primitive world that was completely different from our own. 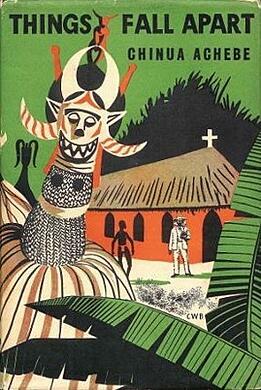 Achebe worked to change the perceptions and assumptions about the place and its people. 3. The manuscript for Things Fall Apart was misplaced at the publisher’s office in London, and was lost for several months. Thankfully, the work was eventually found and the publishing process moved forward. 4. Charles Dickens was very influential in the writing of Things Fall Apart. Achebe had long admired Dickens’ work and followed similar patterns of theme and characterization in his own novel. 5. Things Fall Apart brought attention to African literature, which had been largely ignored by the west up until that point. Some consider Achebe the Shakespeare of his genre, and credit him with introducing a new dynamic to the literary world. 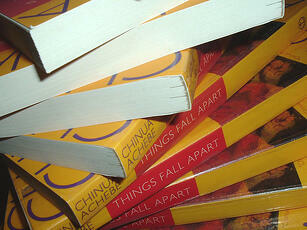 Things Fall Apart has sold over 8 million copies, and remains a popular choice in schools and homes across the world.